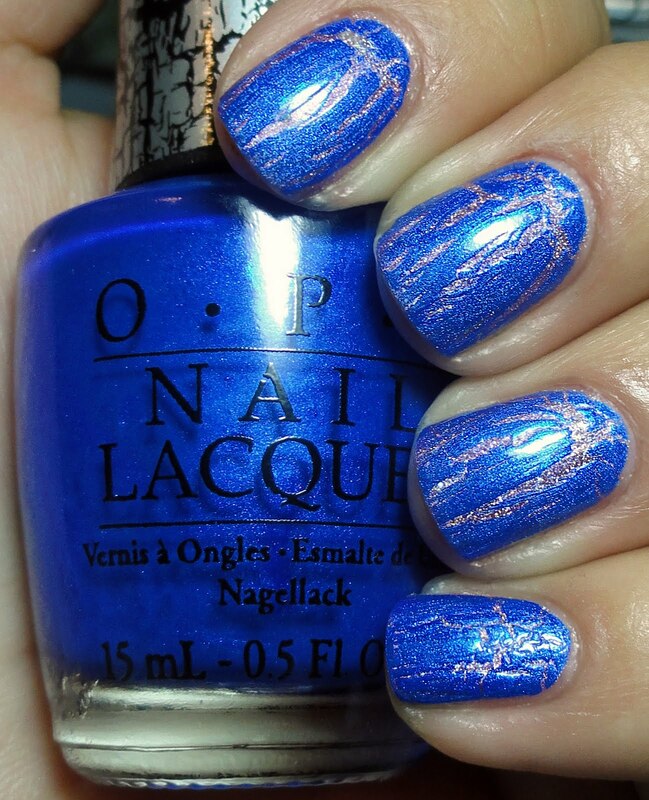 OPI has had mega success with the shatter trend that we've seen all over the country and abroad. This time they have brought us some new colors, this time in hues of blue. 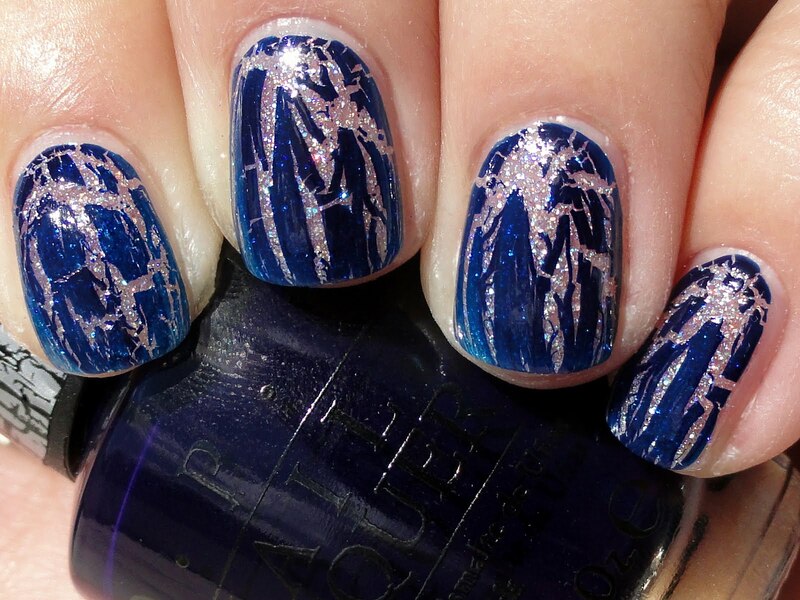 Navy Shatter is a winner in my book, dark but still blue toned and beautiful layered on top of a pretty glitter like this one, Sakura Glow by Color Club. I love how you can see the glitter peek through. 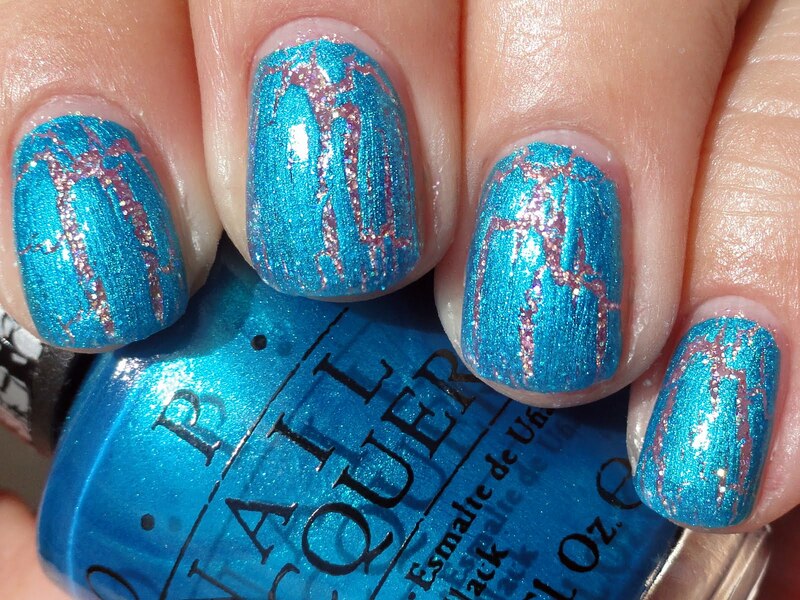 Turquoise Shatter is shimmery and cracks less than Navy or Black Shatters but still does the job. It's lovely and very head turning. Here I've put it over Color Club's Strawberry Sherbet. 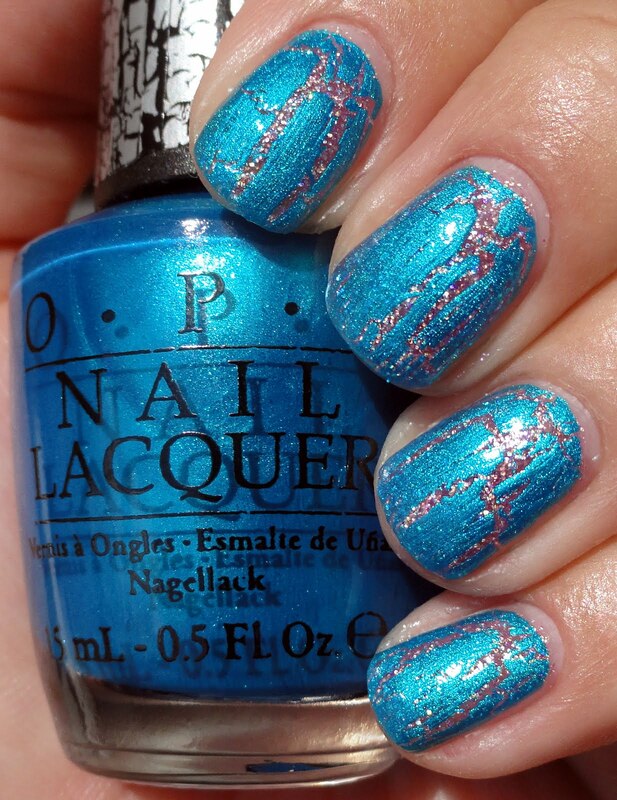 I also did a mani for my sister Megan over OPI Mermaid's Tears which turned out rather lovely. 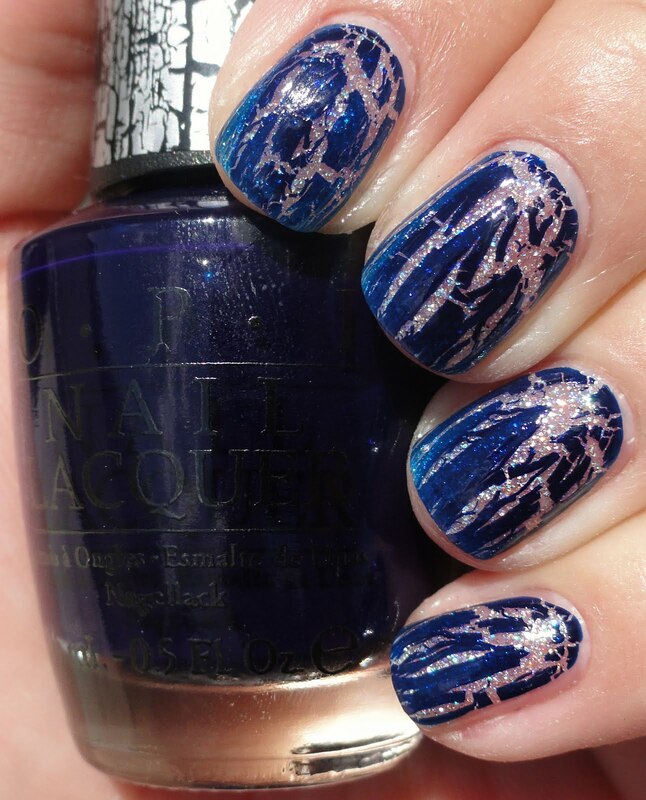 Blue Shatter is also shimmery and cracks a little less than Navy and a little more than Turquoise. The shimmer must do something to the formula eh? I like this but it's not my favorite of the shatters. I think I like the crème formula of the shatters the best. 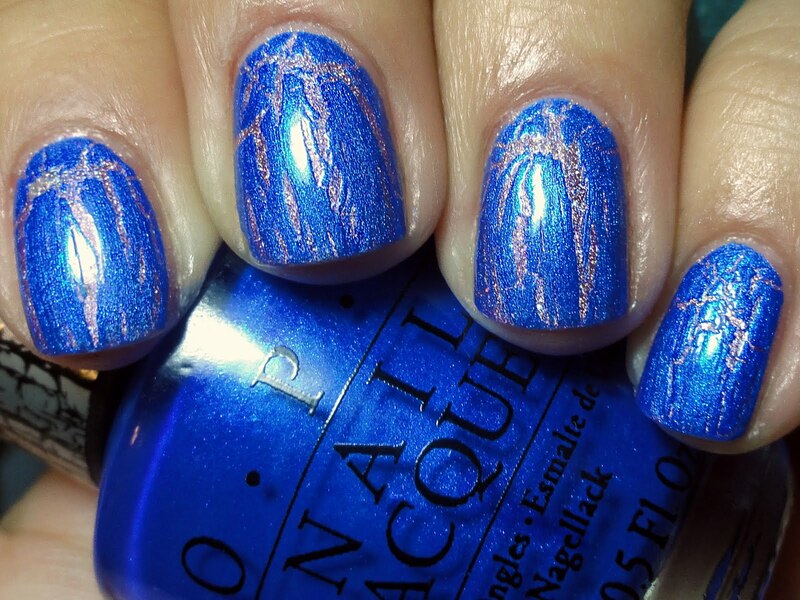 Here I've shown it over China Glaze How About a Tumble. What do you think about these new sky tinted shatters?